According to recent studies, today’s average home buyer is 39 years old, which is considerably younger than 5 or 10 years ago. Given this, and the prevalence of computers and smart phones, it is little wonder that 92% of today’s buyers use the internet in varying degrees during any real estate transaction, beginning with property searches. Yet, even with all the use of the internet, when people engage a Realtor for either the listing or buying of property, their #1 concern is hiring an agent they feel is honest and has integrity. Integrity trumps computer skills, personality, brokerage firm, ability to maneuver a transaction, knowing the area, and even responsiveness. I continually ponder a growing list of questions centered on integrity: How do Buyers and Sellers ensure their agents are honest, and possess integrity? How do you improve the odds that what you are buying is what you expect given the pricing, disclosures, discussions, due diligence, and “attitudes” of all parties involved? In this day and age, when people are stressed about the economy and the future, are agents and Sellers more likely to outright lie or deceive in order to bring a transaction to closing? Take the same time you are taking in looking up properties on web sites to delve into an agent’s history, reputation, and listings! Your chosen agent will be offering you their professional opinion as they help inform and guide your every step. Their integrity flavors whether they are truly working for you, or just trying to get their commission. I oftentimes remind myself how corruptive money can be. Agents play a large role in bringing a property to a successful closing. Honesty and integrity are key factors to Buyer or Seller’s satisfaction. In my opinion, Buyers or Sellers are best served by engaging a Realtor who is currently a member of a Realtors’ Association. Here, in Bozeman, Montana, we belong to the Gallatin Association of Realtors (GAR). Every Realtor is duty-bound to uphold the Realtors’ Code of Ethics. Annual Continuing Education Courses require brushing up on the Code of Ethics at regular intervals. Ethic complaints are considered important within GAR and have an entire protocol of how to determine and punish ethic violations. However, we all know there are always ways to “game the system” and push the line in such a way that accountability is tough to prove. That’s when reputation counts. During your interview process, find out if your Realtor has client testimonials. Ask them for references of people they have worked with. The Platinum Team’s website includes a hefty number of client testimonials. We are proud of our customer satisfaction. I was asked once, during a listing appointment, by the Seller, to name three agents in Bozeman I liked to work with and why. This was a brilliant interview question as it was unexpected, and therefore my answer was unscripted. My reply spoke a good deal about my relationships with other agents. And, since the Seller had been doing research on who to list with, they felt, given my response, I worked well with other agents and I had a firm ethical foundation. Agents play key roles, beginning with the selection of properties to tour and their dialogue and body language during the showing process. An agent with integrity shows a potential Buyer properties that best meet that Buyer’s criteria, whether the properties are listed by that agent or not. When you are interviewing an agent, figure out if they have your best interests at heart or are primarily focused on grabbing both the listing and selling side of a commission by steering you only toward their listings. Just recently, in a gathering of agents, one agent boasted, “I got that property I’ve had listed for 5 years under contract. Out of state buyer came to town, I showed them that property, told him that’s it! 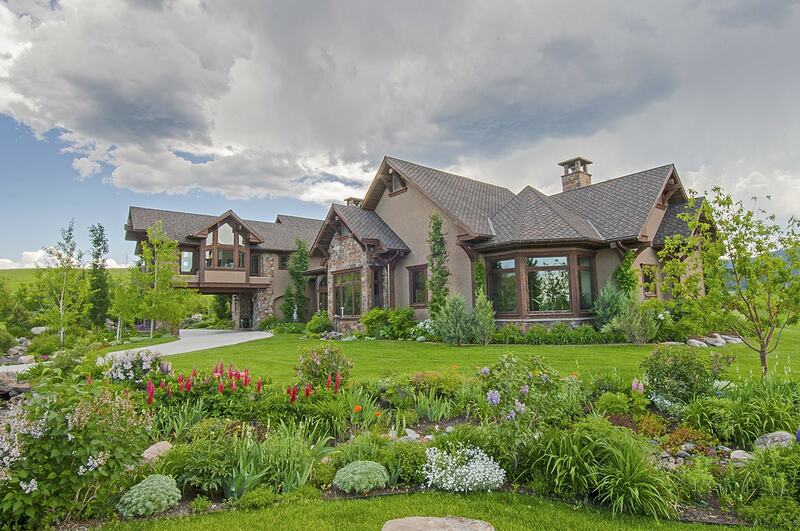 ” When another agent asked if the buyer wanted to see other properties, the agent replied, “Why would I even suggest that?” Personally, I can think of many reasons—such as providing a buyer with a current market overview, exposing them to different areas of the Gallatin Valley, and letting them tour at least a half dozen homes that meet their dreams and needs but involve slightly different lifestyles, amenities, and price points. Integrity is at the very heart of all real estate transactions, especially when you are buying or selling high-end, luxury properties in which it is easy to make assumptions that since a property is listed for such a high price, it must be inherently good. Omission and silence is, in many instances, an indication of a lack of integrity. The Platinum Teamalways tells our Sellers, “Disclose! Disclose! Disclose.” Disclosure though, is not enough. Due Diligence is a key area in which integrity comes into play, as many times a potential buyer will be quite interested in a particular property, failing to note something significant that the agent immediately notes or previously knows. A case in point: An agent shows their client a home the client has specifically asked to see after they viewed it on the internet. It is a quaint cabin nestled into a forested hillside, listed at a very marketable price. The client immediately falls in love. The agent, however, visually notes that the surrounding forest has signs of extensive pine beetle damage. An agent with integrity will say, “I would hire a professional forestry specialist and ask their opinion on the surrounding trees, and I’d also ask your insurance agent about forest fire insurance.” Your agent is not a tree specialist, but they should be vigilant to potential risks they can readily see, or they have read or heard about, and advise you on what they are noting, and steps you can take to insure there are no terrible, costly surprises down the road, whether this costs them a commission or not..
Thankfully, real estate transactions include Due Diligence, the time period in which Buyers usually need to engage professionals to determine key factors about the property. Your agent is there to help guide you in hiring suitable professionals to identify easements, potential hazards, inspect various aspects of the physical structures including septic systems, water quality, radon levels, and covenants that restrict the use of the property in such a manner that it prevents you from using the property the way you wish. If you want horses, the covenants and zoning better allow horses! An agent isn’t expected to be a lawyer, engineer, architect, or inspector.However, they should steer you towards gaining the professional help you require as well as explaining to you their real estate based professional opinion on whether this property is meeting your expectations. If you are seeking quiet and privacy, an agent with integrity will tell you, if they know, that a raceway or concert hall half a mile away has events twice a month with loud music, cars clogging your street, and late night revelers. There are many things an agent simply won’t know as it is beyond their profession, duties, or knowledge. They may not know about the concert hall—that’s not part of their job—BUT if they do know, and they are honest and have integrity, they will mention it to you if they are representing you as the Buyer. If you are selling your property, your agent should be truthful and advise you on potential barriers in selling your property and ways these might be overcome or addressed upfront. Not all problems have solutions, but knowing them, and addressing them at the earliest possible time, is vastly superior to ignoring them. An honest agent will inform a Seller what the market conditions are, and why their home should be priced within a certain range, rather than leading the Seller to believe a higher listing price is obtainable in order for the agent to sign on the property. A Seller may not like hearing the truth, but far better to deal with reality than to realize a year into a listing that your property is so over priced no one is showing it except to compare your home to one well-priced. Your agent also needs the integrity to provide you with honest feedback from showings and not just tell you what you want to hear. You should be in business together to get your property sold, and most of us desire honesty, even when painful. Realtors generally know each other, through the process of setting up and conducting showings, through offers and closing transactions, and by working together in a number of ways. In The Platinum Team, we’ve worked with agents possessing admirable integrity, who are focused on offering their clients professional, honest, and service-minded care. It is a pleasure to work with such agents, which is one of the reasons The Platinum Teamwas formed this year—we respect each other! We, as a team, are able to discuss properties, issues and situations to insure we are providing our clients with the highest standards in the business. Integrity should be the norm, not a luxury, especially when involved in the buying and selling of high-end, luxury real estate! One of the best ways to determine your prospective agent’s integrity after you have done the basic research is to meet the person. Look them in the eye. Tell them what you expect and what you are willing to do on your side of the transaction. Then shake hands. You can tell a great deal by that most basic, age-old technique. We at The Platinum Team hope to shake your hand soon!